Ahead of the game, Harper said he expected to hear some boos and some cheers. 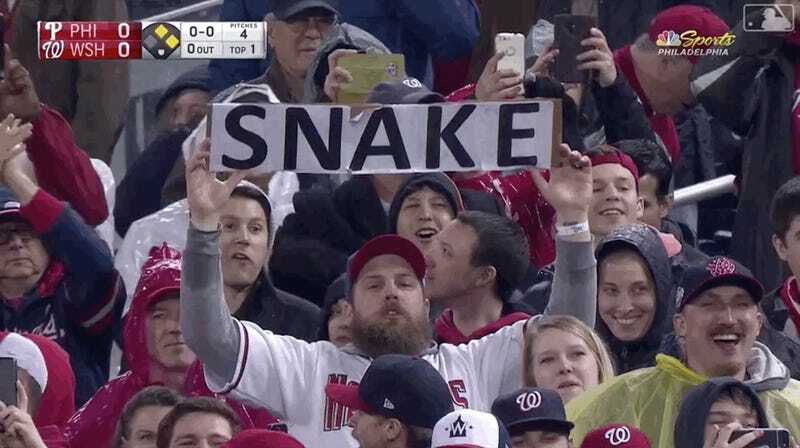 I’m sure there were fans who were cheering, but there is absolutely no way Harper heard any of them, except when the opposing pitcher was throwing the ball past him. He’s had the chance to hear it twice tonight—Scherzer has K’d him up in each of his first two at-bats. Does Bryce Harper Know Something We Don&apos;t?